A man was arrested on suspicion of threatening a mass shooting at CNN headquarters in Atlanta. An FBI investigation determined that the man made the call last week from a Detroit suburb, a local CBS affiliate in Atlanta reported. On the alleged phone call to CNN's Atlanta headquarters, the man reportedly called the news network, "fake news," echoing a familiar insult President Donald Trump uses. The man allegedly told a CNN operator he planned to "gun you all down." 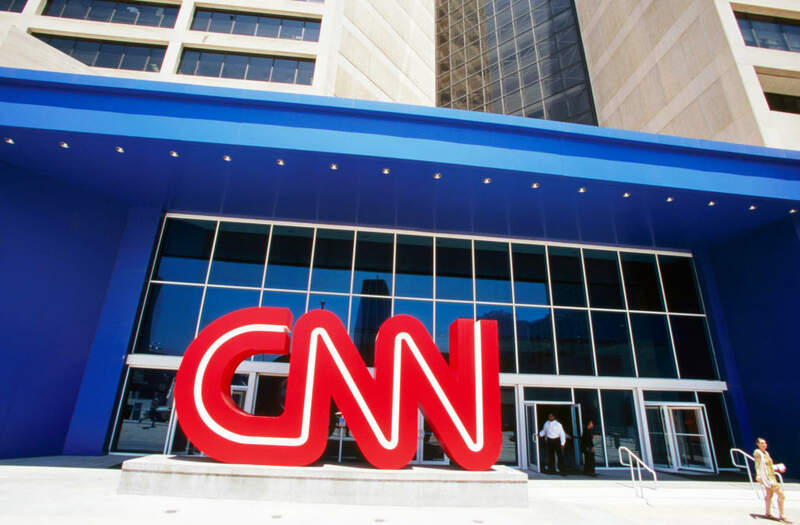 A man was arrested on suspicion of threatening to carry out a mass shooting at CNN's headquarters in Atlanta, Georgia, the local CBS affiliate WGCL reported on Monday. A federal affidavit cited by CNN on Monday night said the suspect, Brandon Griesemer, made 22 calls to the news network from a Detroit suburb. Griesemer called CNN "fake news," echoing a familiar insult President Donald Trump uses to describe the network and others whose reporting he dislikes. According to court documents, Griesemer said "Fake news. I'm coming to gun you all down." "I'm smarter than you, More powerful than you. I have more guns than you. More manpower. Your cast is about to get gunned down in a matter of hours," he said. Investigators traced the calls and later arrested Greisemer. He's facing charges of transmitting interstate communications with the intent to extort and threat to injure, CNN reported. He was released on $10,000 bond. If convicted, he could face up to five years in prison. Griesemer was already on the radar of law-enforcement officials after he called in threats to a mosque in Ann Arbor, Michigan, last September. Aggression toward journalists and news organizations has been on the rise since Trump's 2016 presidential campaign, and has continued well into his first term in office. Trump in the past has castigated news outlets and reporters — at times singling them out individually during public speeches and on social media. Media watchdogs and ethics experts have criticized Trump and allies of the president who parrot his attacks — at best, saying they are unbecoming of a US president, and at worst, characterizing them as a threat to democracy.